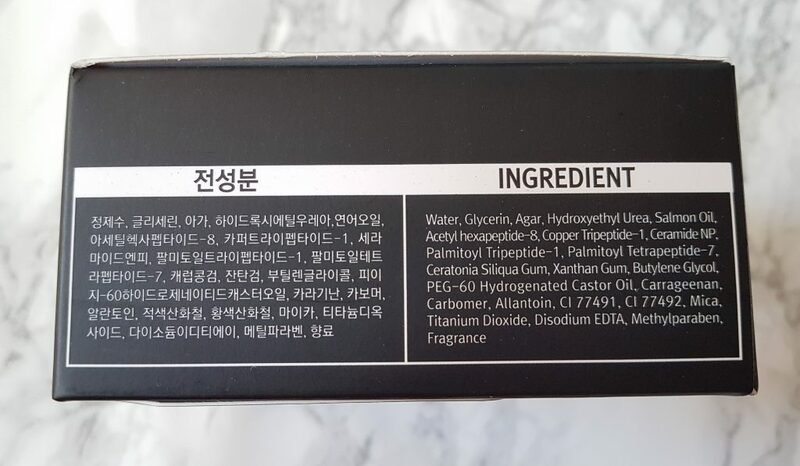 If you are aware of the cosmetic retail website BeautyNetKorea, they are your one-stop shop for all things Korean beauty related and have a huge array of K-beauty brands. 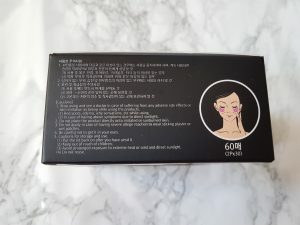 Recently, they have launched their own cosmetic brand named EYENLIP and have an impressive catalogue of affordable products in the short amount of time since they’ve been around. 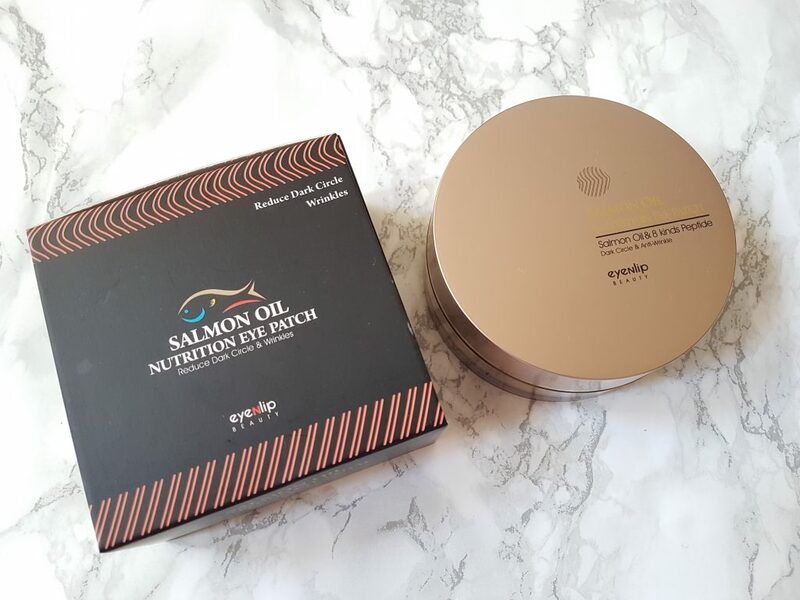 They sent me some of their products to try out and the one I was most eager to use was their Salmon Oil skincare line. 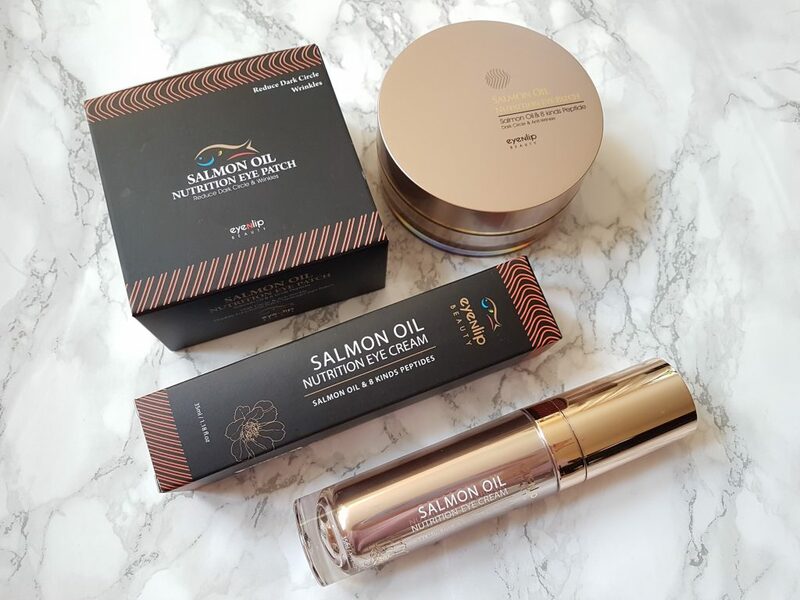 The Salmon Oil skincare line consists of a serum, eye cream, moisturiser and eye patches with the key ingredients being salmon oil and 8 types of peptides. Vitamin A, E, D and fatty acids can be found in salmon, all of which combine to provide anti-oxidant, anti-inflammatory and anti-ageing benefits, repair damage to the skin barrier and moisturise the skin. 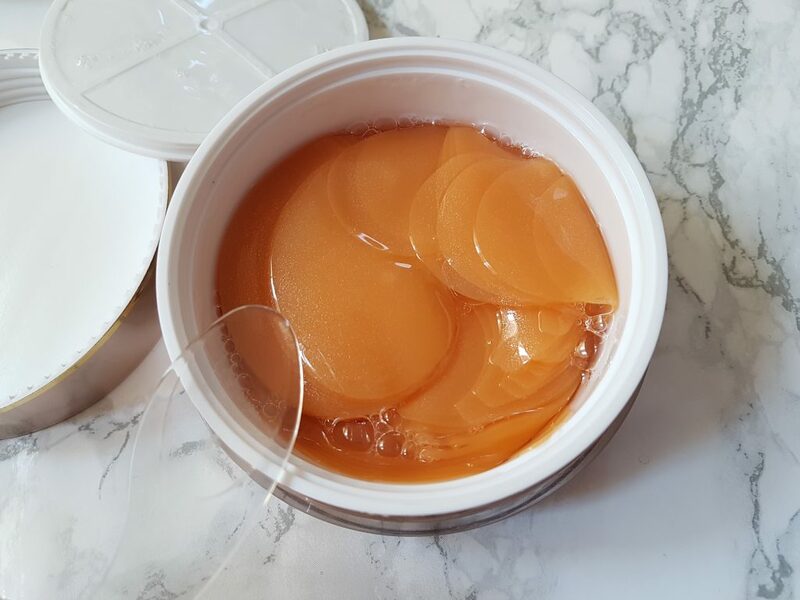 It also contains astaxanthin, a powerful antioxidant which helps reduce pigmentation, wrinkles and improves the skin’s moisture level, elasticity and smoothness. Amino acids are compounds that help form protein. Chains of amino acids linked together, are peptides and these are the building blocks of what our organs, tissue and skin is made up of. Collagen is a very important type of protein in the skin and is what keeps our skin looking youthful, smooth and plump. The natural breakdown of collagen as we age is what causes our skin to wrinkle, age, sag, become dull and lose its elasticity. 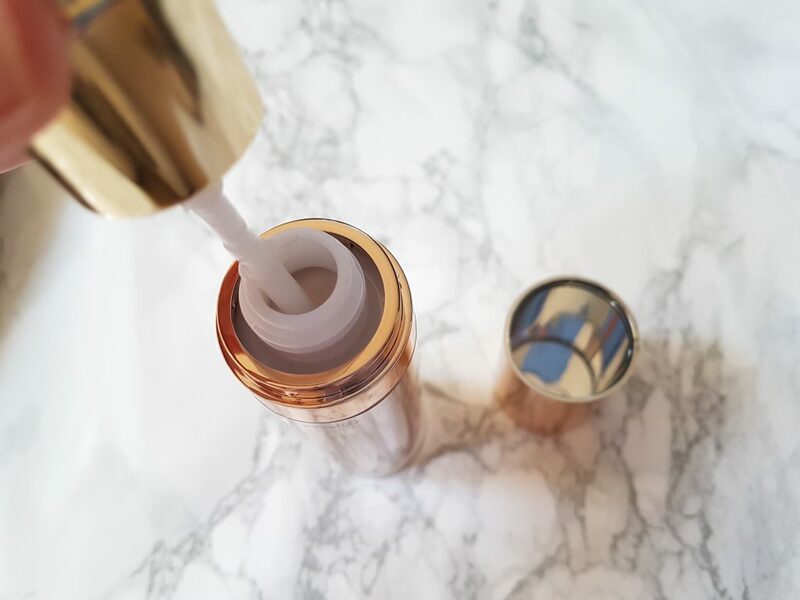 Therefore introducing products containing peptides into your skincare routine can help boost collagen production and is a great anti-ageing ingredient to have. Peptides reinforce, firm and strengthen the skin barrier which in turns keeps your skin healthy, plump and smooth. Salmon oil and eight peptide extracts quickly penetrate the skin, creating firm, glowing skin. It fills the skin around the eyes giving more clear, brighter eyes. 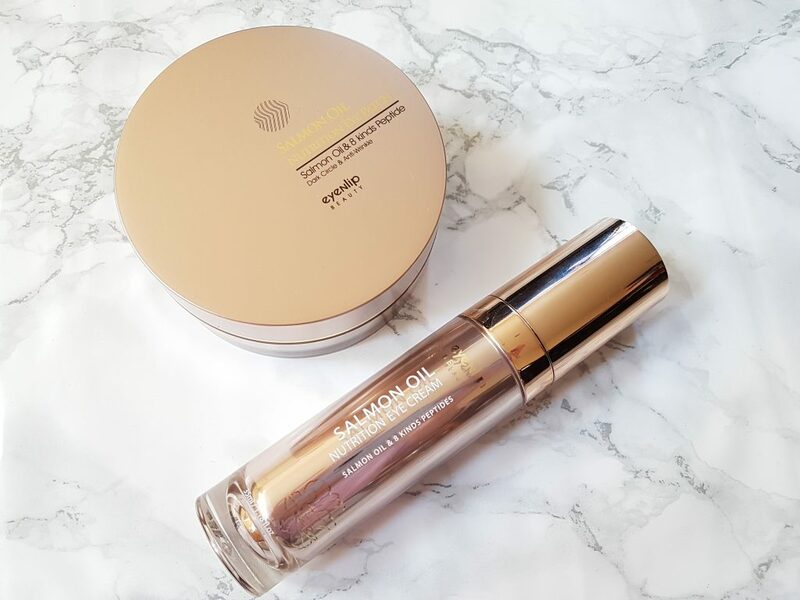 In addition, it tightly encloses the skin of the eyes and it gives a bright and radiant impression by adding moisturizing gloss and elasticity. 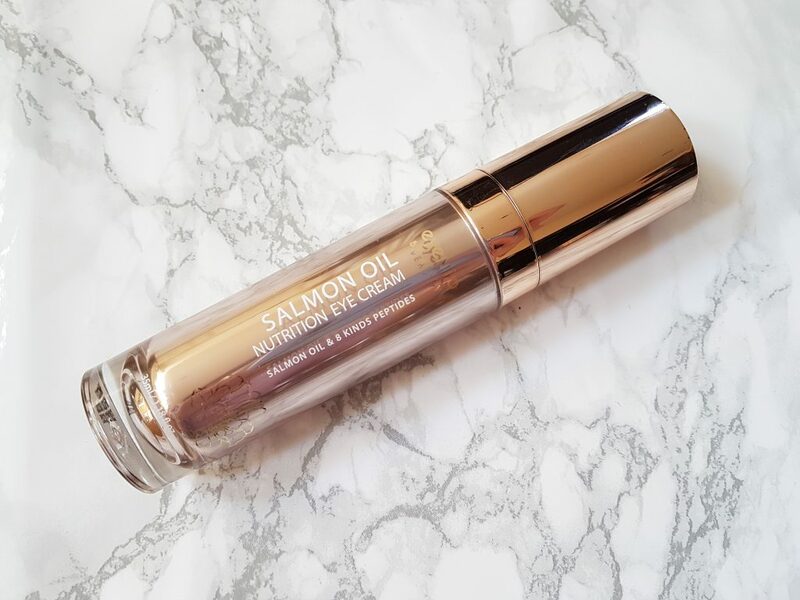 I really love the light gold packaging of this as it looks very luxurious and although it is a plastic tube its got a bit of weight to it so it doesn’t feel cheap. The cap clicks on very securely so I wouldn’t worry about travelling with this. 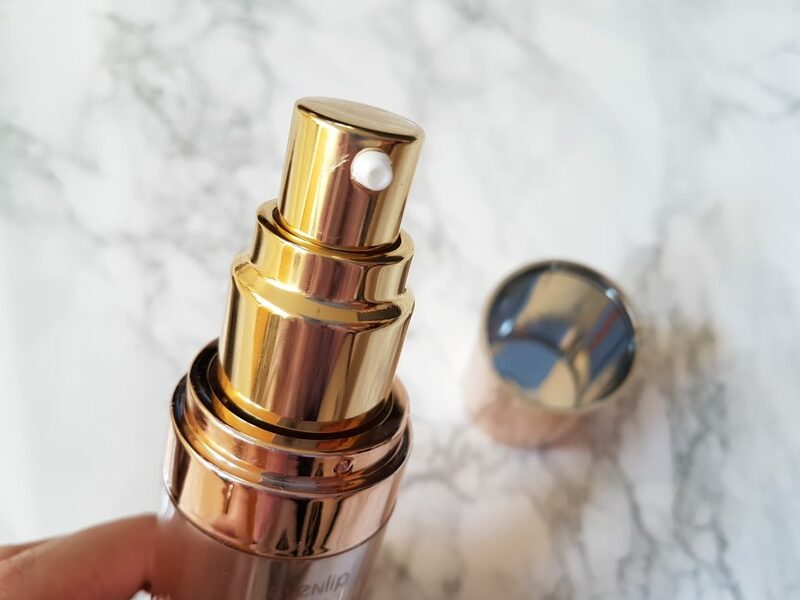 The best thing is this eye cream dispenses with a pump nozzle which is much more hygenic and keeps the ingredients fresher for longer. 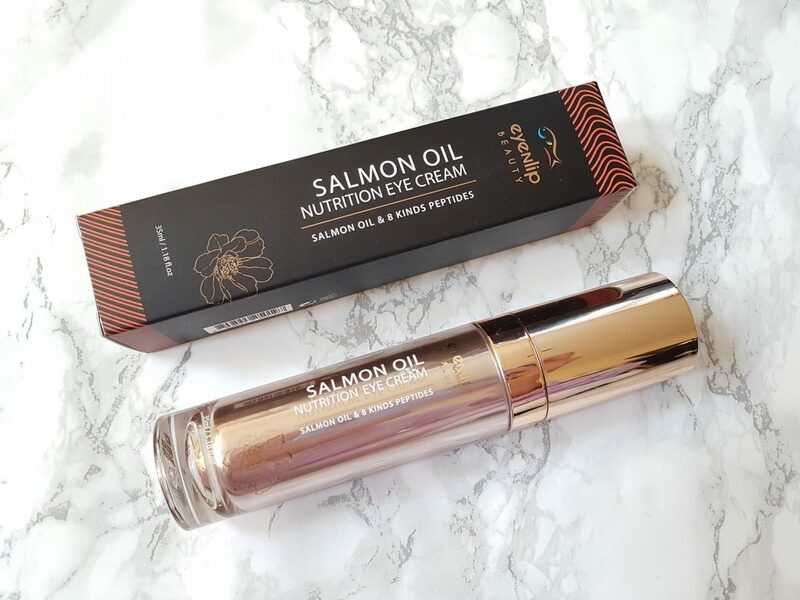 The most notable ingredients for this eye cream are the salmon oil and 8 types of peptides. 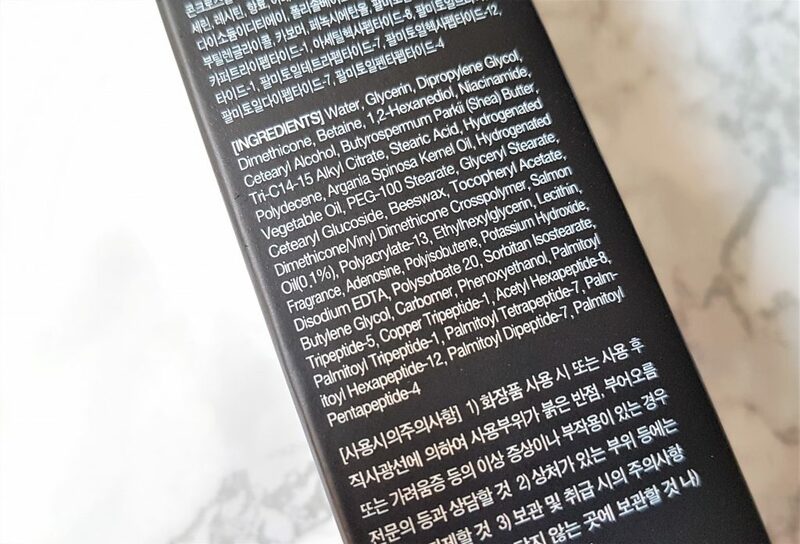 It does also notably include niacinamide (brightening), adenosine (anti-ageing), glycerin, shea butter and argan kernel oil (moisturising). The consistency of this eye cream is quite lightweight; its thin, spreads out easily with no dragging so a little can go a long way. It also feels both watery and a little oily at the same time. 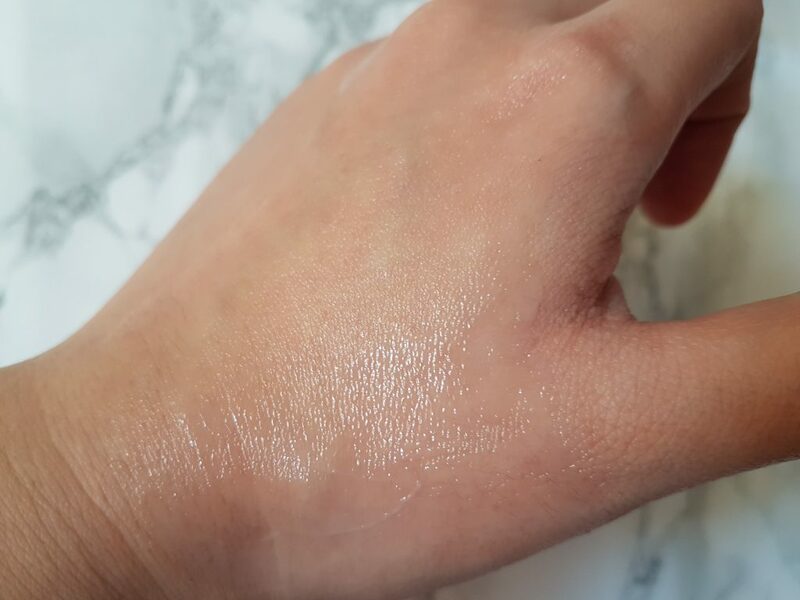 It doesn’t immediately dry down so it requires a little patting and massaging for it to sink in fully but once it does after a few minutes, it leaves the surface of your skin plump, moisturised and you can feel it has formed a protective barrier over your skin. This has a very strong, perfumed floral scent so beware if you have sensitive eyes or dislike fragrance. It has never caused irritation for me and I do prefer this fragrance over natural fish oil smell which is super unpleasant. I only need half a pump of this eye cream for both eyes and first massage it under and around with my ring finger. Then lightly pat and tap to absorb. I like using this eye cream but it’s not my first preference for my skin concerns or what I look for in an eye cream. 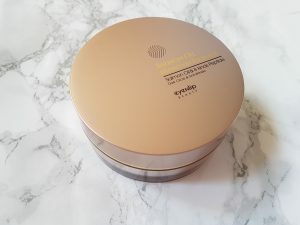 If you dislike using thick or balm type eye creams or are prone to getting millia, yet still want a moisturising eye cream then this would be a good fit. I only have 1 fine line under my right eye, but the skin around my eyes is noticeably thinner and more delicate than the rest of my face. I don’t really suffer from bad dark circles so my main purpose for an eye cream is to adequately plump and moisturise the skin under my eyes to prevent any more wrinkles forming. If the skin around my eyes isn’t sufficiently hydrated, the fine line is a good indicator because it will look more pronounced. 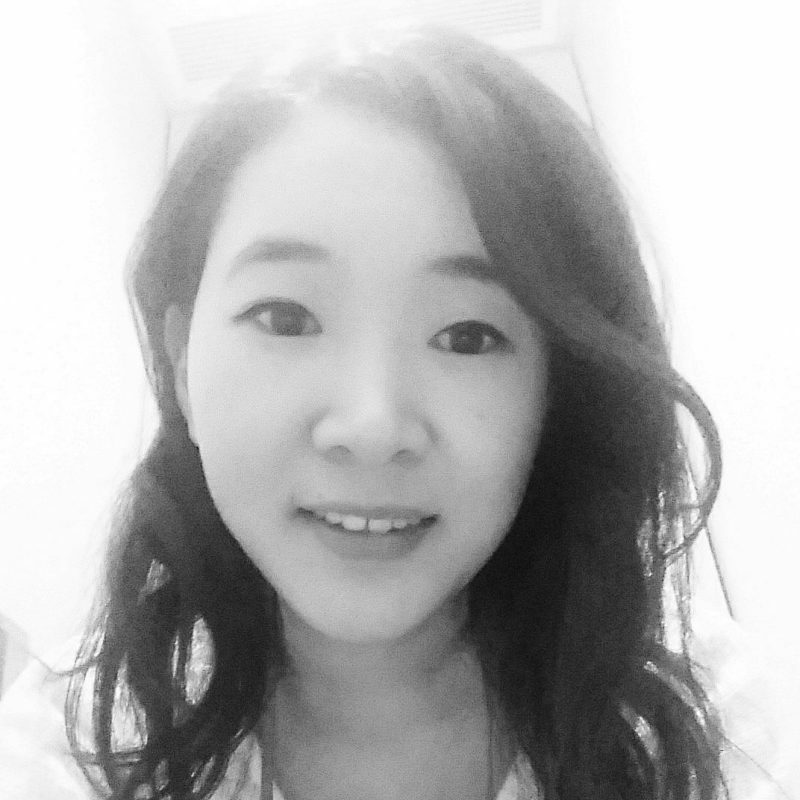 Therefore I prefer more heavy-duty buttery eye creams that can really plump the skin and maintain the moisture throughout the day, even under makeup. 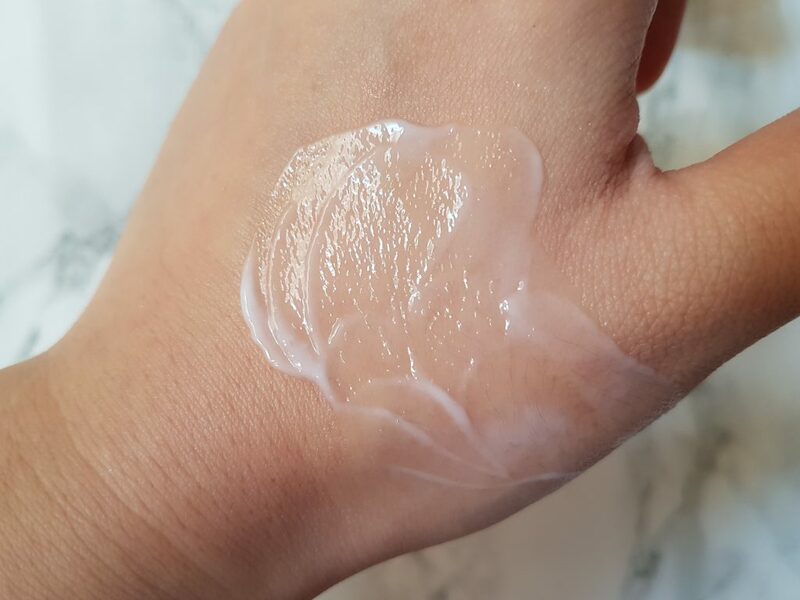 As a face cream this would be a great consistency, but for an eye cream, it’s just too lightweight for my liking (especially heading into the colder months) and would be better for younger skin types in their early 20s that are just beginning to focus on anti-ageing skincare. 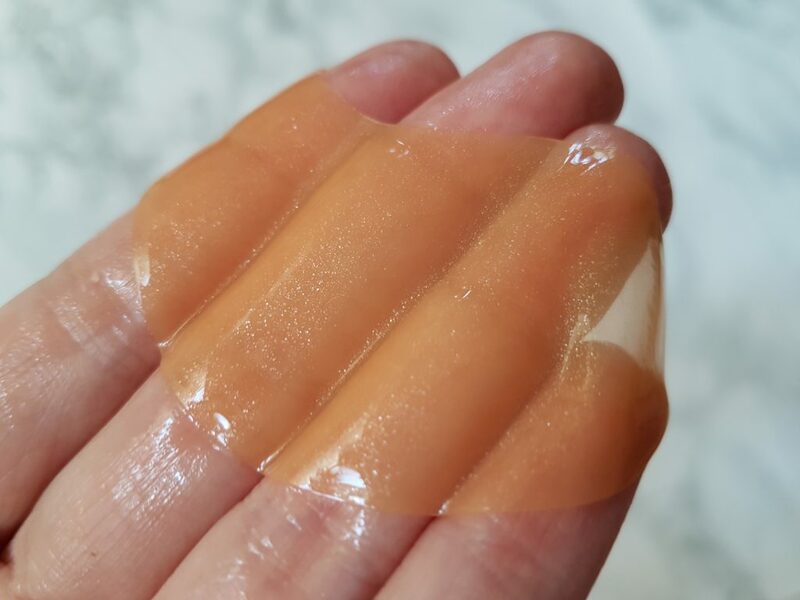 I also dislike how much it slips and slides around as you are massaging and patting it into your skin, especially in the morning when I have limited time to get ready and I don’t want to spend too much time trying to get my eye cream to absorb. If I apply in the morning I definitely make sure to wait 5 minutes before applying eye liner otherwise it won’t stick to my lid as effectively because of the slight oily residue. 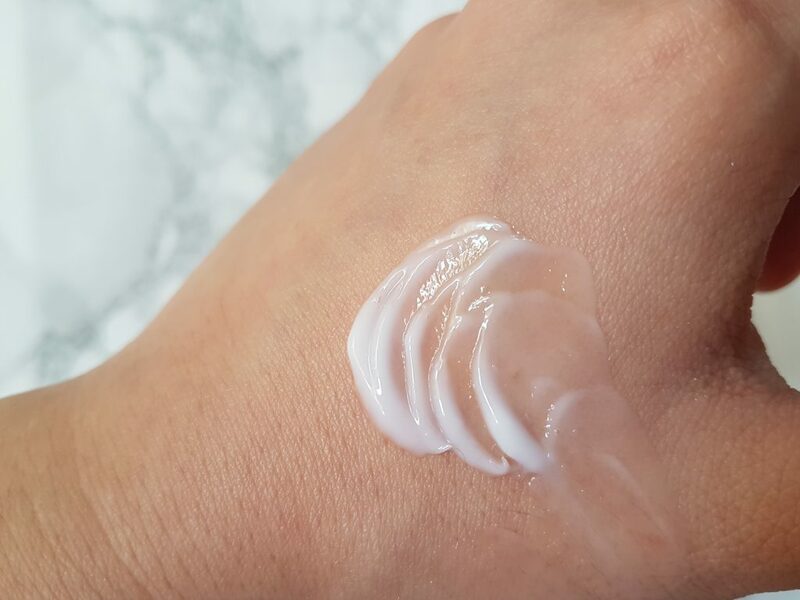 Overall, its a decent eye cream with great ingredients to give you long-terms skincare benefits but more suited for those that like a more lightweight, slippery eye cream texture. 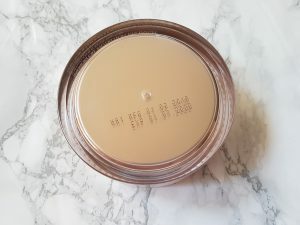 I personally didn’t see much of a brightening effect but it has the ingredients to back up its moisturising claims and hydrates my skin well without feeling too heavy or oily. Instantly soothe and eliminate puffiness and dark circles. Relax and refresh dulll eye zone. Lift up lines and smooth wrinkles, it leaves under eye skin and nasolabial line smooth, dewy and moist. Again the gold packaging for this is very luxurious, making it look more expensive than it is. The jar is quite big and heavy and contains 60 patches so if you use these everyday it will last you exactly a month. 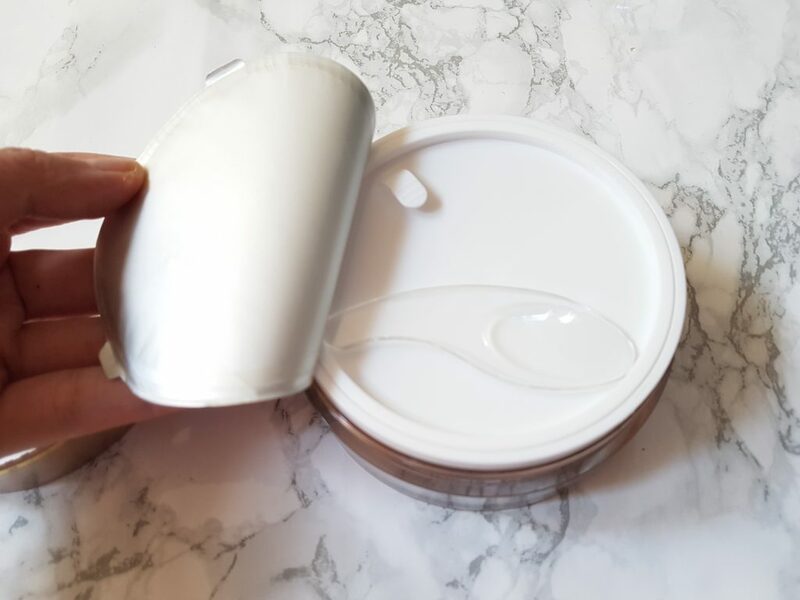 Under the screw top lid, there is an inner lid which protects the patches from moisture loss and also houses the spatula. 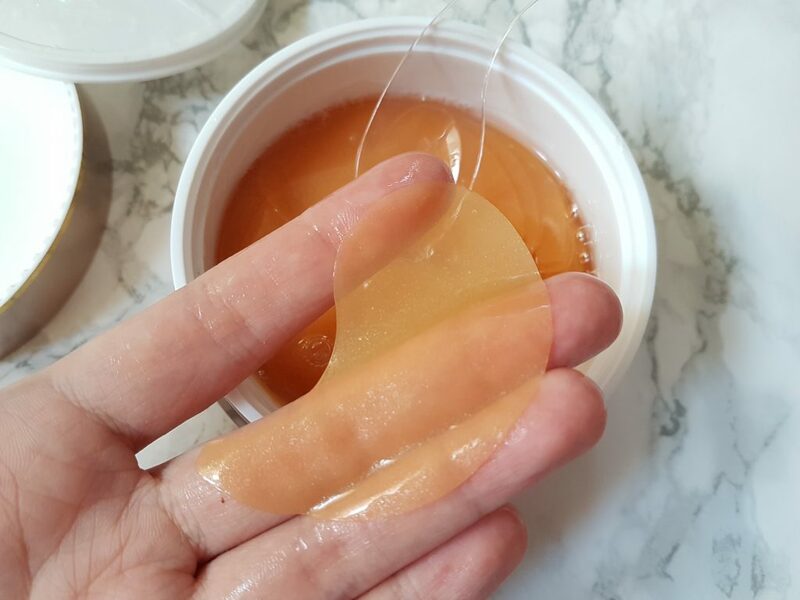 Eye patches that come in jars like these are usually very slippery and drenched in essence so having a spatula included is always appreciated! These eye patches omit some notable ingredients that the eye patches have such as shea butter, niacinamide, argan kernel oil and adenosine but does include allantoin which has anti-ageing benefits, alongside all the peptides and salmon oil. Inside the patches are golden in colour and appear to have specks of gold within them. The best eye patches are usually made from hydrogel – as these ones are – because they can retain a lot of liquid and offer the highest level of absorption of active ingredients for longer periods of time. 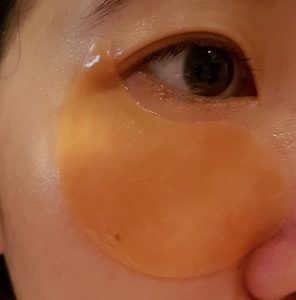 I’m not usually the biggest fan of hydrogel eye patches so I’ve gone a couple years without using any (I much prefer the heated eye packs). My biggest pet peeve with the ones I’ve tried is that they never stay under your eyes and always end up slipping down your face unless you’re lying flat on your back, so when I’m busy in the evenings I do tend to avoid them. 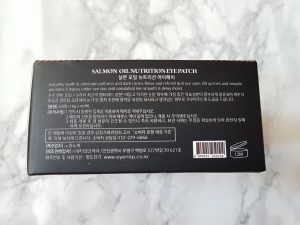 However I was eager to try these salmon oil eye patches as its been awhile, and thankfully they have better adherence than some others I’ve tried. They do still slide down a little and I have to prop them back into place but I can generally be up and about with these on. They are slightly fragranced too, to mask the salmon oil smell and they are pleasant and comfortable to wear with no eye irritation. I like the standard shape of these eye patches because they fit the contours of my under eye really well. These can also be used for smile lines and your neck. I keep these on anywhere from 20-30 minutes, and as the essence gets absorbed into your skin the patches become drier and stick to your skin better. I wouldn’t recommend wearing for longer than 30 minutes because by then the patches are pretty dry and you’re not reaping any more benefits. With these eye patches, my eyes do feel immediately soothed, hydrated and plump after use. I love using these after I’ve had a long, tiring day at work when my eyes just feel tired and dry from staring at the computer. 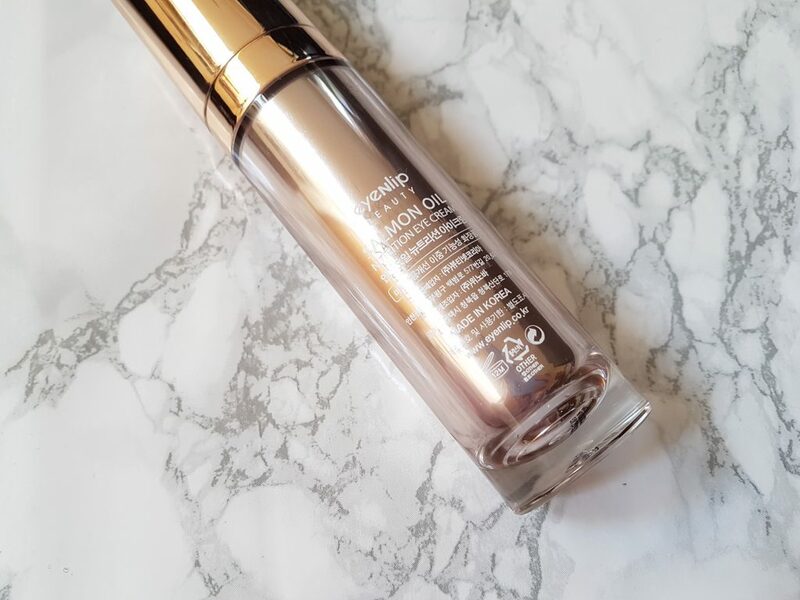 These have a cooling effect upon applying and are just a great pick me up to rejuvenate and refresh the eye area so they look less dull and more awake. 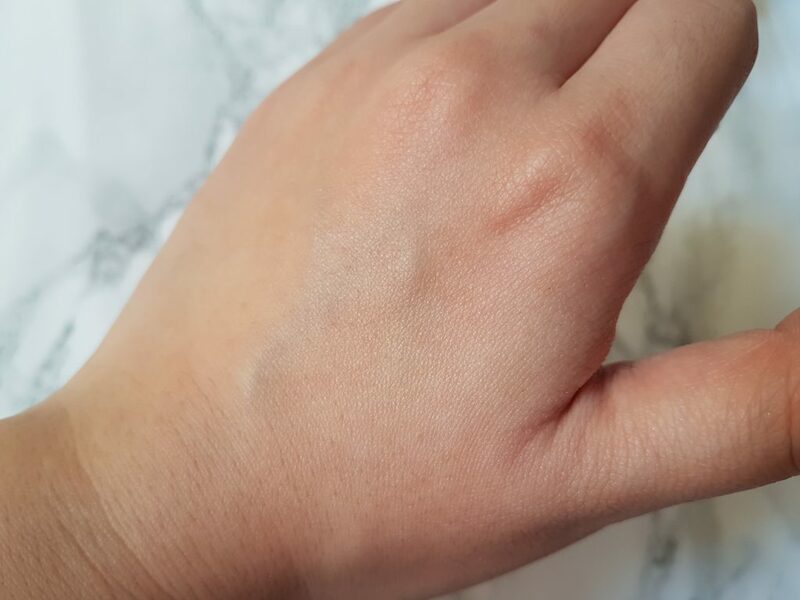 I have noticed they slightly lighten my minimal dark circles when I have them, but it’s a subtle brightening effect rather than diminishing them. 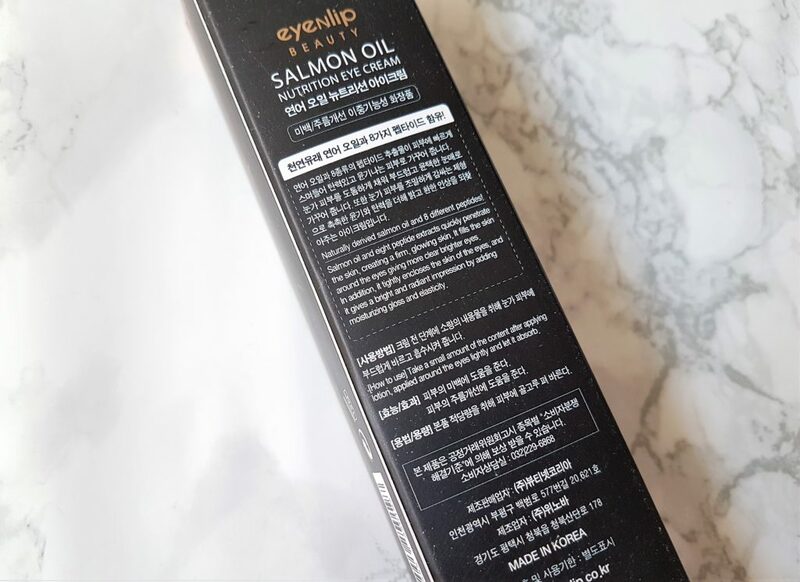 Overall these are good products from EYENLIP and if you prefer lightweight eye creams and enjoy using hydrogel eye patches for a quick pick me up, give the salmon oil line a try.